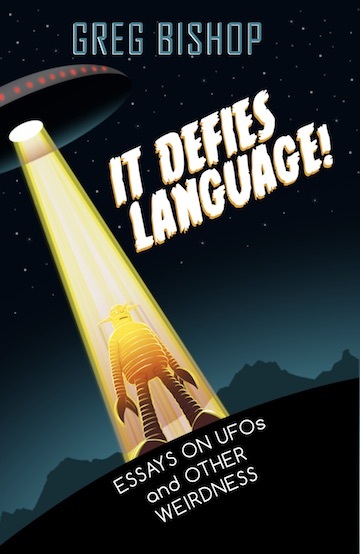 author interviews – It Defies Language! My friends Red Pill Junkie and Robert “Burnt State” will interview me tonight (May 1st) on Radio Misterioso. This will be an in-depth conversation and I have no idea what direction it will go! For my appearance on tonight’s program with George Knapp, I’ve dug out a couple of rare images for the listeners. 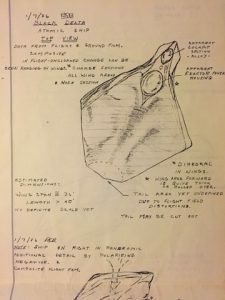 The first is an original drawing made by UFO researcher Paul Bennewitz of something he said crashed in the mountains near Dulce, NM in January of 1986, as recounted in my book Project Beta. Bennewitz said that it was an atomic powered aircraft that aliens had given to the U.S. Government. When he and local law enforcement officer Gabe Valdez trekked into the wilderness soon after to look for the crash site, the area had been cleaned of all debris, but Valdez found a government-issued ballpoint pen accidentally left at the scene. 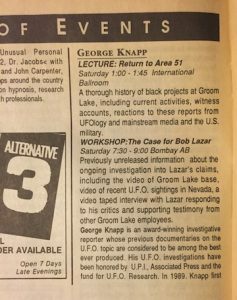 This other image is from a program for the UFO Expo West, a large conference that was held in Los Angeles from June 12-13, 1993. George Knapp was on the beat! I will be the first half guest on Coast To Coast AM with George Knapp on April 17th. More details as they become available. I was last on with Art Bell on February 27th, 2005. 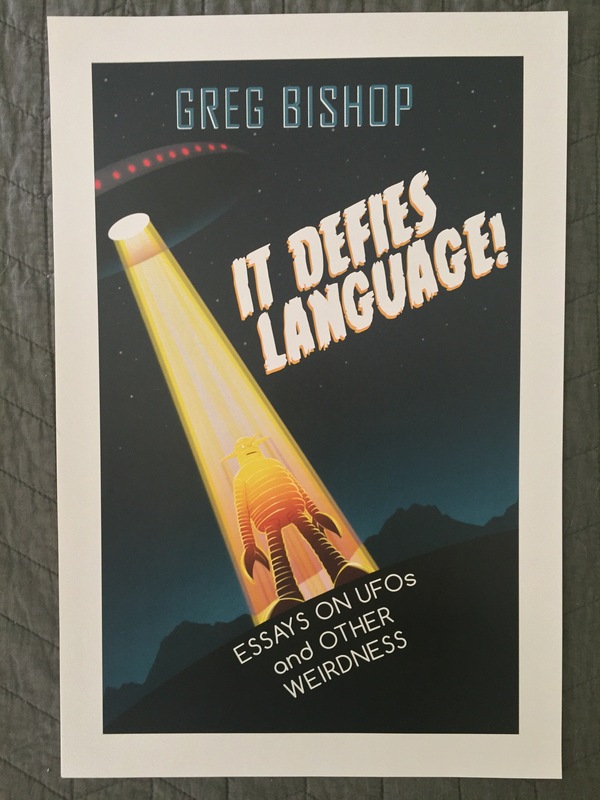 That was a weird one – former AFOSI agent Richard Doty was also a featured guest and he took over, which was fine with me, because it sold more copies of Project Beta.